In order to maintain a healthy smile, it is important that our Grandville family dentists perform comprehensive oral examinations of your overall oral health. Using advanced dental technology, such as digital x-rays, we can effectively monitor the condition of your teeth and identify early signs of tooth decay. 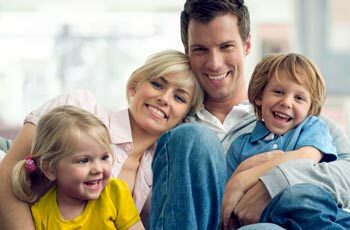 First, our family dentist will check for obvious signs of tooth decay by using a metal probe and mirror. She will also check for any symptoms of gingivitis or the more serious periodontal disease, such as red or swollen gums. Deep gingival pockets around teeth can also indicate periodontitis. Comprehensive oral exams also allow us to assess the condition of your gums and their position along your teeth. Early detection of gum disease can save your smile. Our dental hygienists will work with you to develop an examination schedule that matches your oral health requirements. Most of our patients see us every six months for their dental checkups. A comprehensive dental exam may also include an oral cancer screening. Mouth cancer screenings save lives by detecting cancer in its early stages before it has a chance to spread. Dental exams can protect your oral health and overall health. Our Grandville dentists are dedicated to helping you achieve good oral health through preventative dental services. If you are interested in scheduling an appointment for a routine dental exam, give us a call at (616) 534-0080.